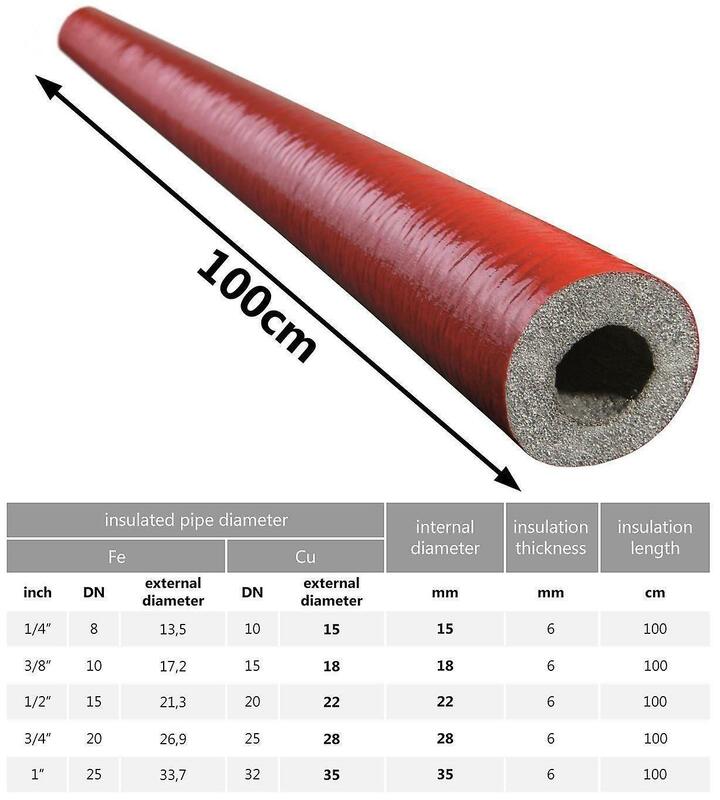 Polyethylene insulation with an extra layer of polyethylene in red colour used for insulation wherever the resistance to mechanical damage and resistance to the dew effects is required. It is used for insulating pipes for hot and cold water in heating and sanitation technology. It is characterized by simple and easy installation, as well as a quick return on investment and care for the environment (it is 100% recyclable). 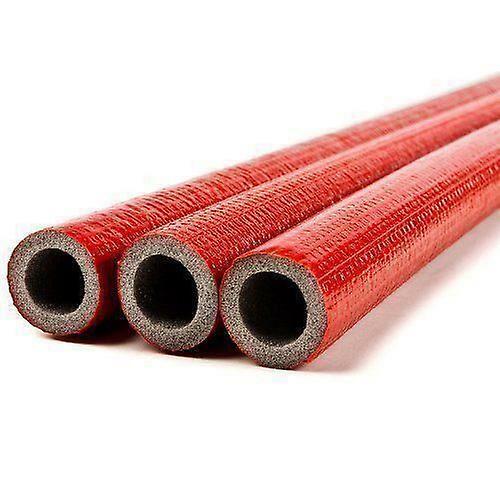 - Energy conservation: pipe insulation is also very important for keeping heat in the pipes and ensuring that it is conveyed to its destination without excessive heat loss. Pipes may run through cold spaces such as garages and roof voids where you don’t want heat loss into these spaces as this will make the heating system less efficient. - Frost protection: winter usage of pipe insulation is to protect pipes against frost damage. All types of pipe can be affected by frost damage, in particular metal pipes such an copper, lead and steel which will readily split upon freezing due to the expansion of freezing water when ice occurs. - Heat transfer coefficient: ~0.040 W/(m*K) at 40C.